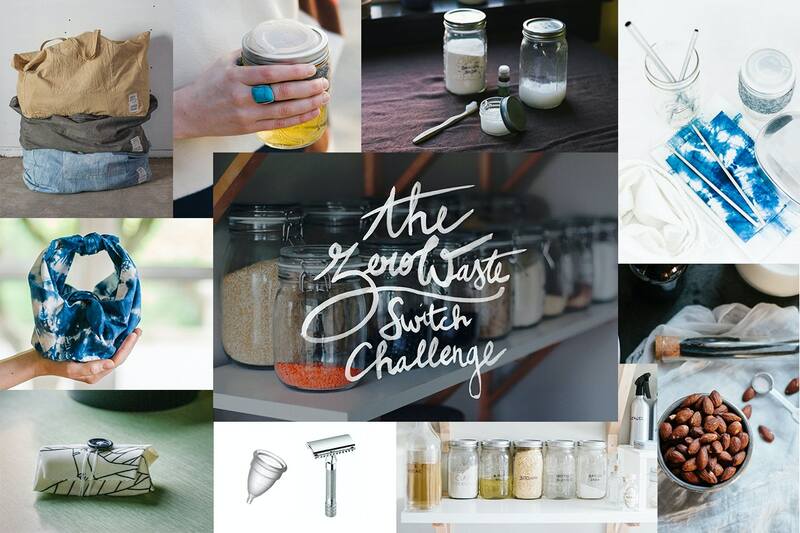 Last April, I launched the Zero Waste Switch Challenge. Every week, for 10 weeks, I published a newsletter to help you conscious readers kickstart your journey to a greener life. The emails either contained recipes, DIYs, tips or products recommendations touching various aspects of our daily lives. Close to 200 of you took part in it and some even shared their accomplishments on Instagram using the #ZWswitchallenge. I'm so proud of you all! In case you did not get a chance to participate, I thought I'd compile a recap of the 10 challenges so you can catch up. This was a fun little project for me. I hope it was (or will be) for you as well. Don't hesitate to send recommendations or comments my way, I'm always open to (constructive) criticism. Have you ever taken part in such challenges? Would you like me to organize more of these on the blog? In what areas (I'm thinking simplifying, decluttering, capsule wardrobes, etc)? What else would you like to see on the blog? I'd love to hear what you think!